In 1963, Bill Thomas received some backing from the General Motors Performance Product Group to create a new concept car. 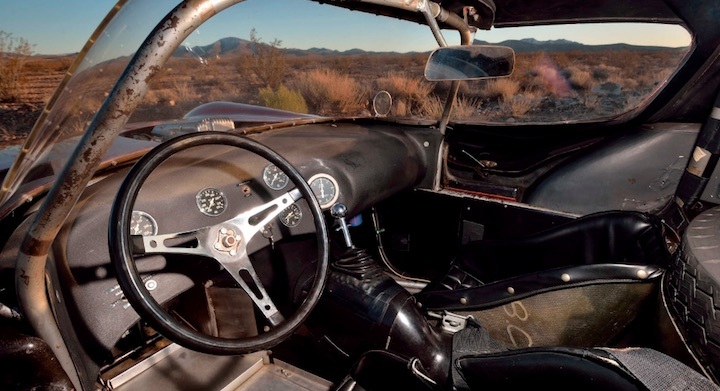 The car, dubbed the Cheetah, was intended to be a styling exercise and wasn’t designed with racing in mind, but Thomas later decided that taking the car racing and bringing the fight to cars like the Shelby Cobra would be the best way to promote it. Despite it never achieving any major victories, the Cheetah’s straight-line speed and radical looks made it a fan-favorite in racing circles. One of these 11 Bill Thomas Cheetah cars that was completed in-period will soon be auctioned off Mecum’s Indy 2019 sale. The car, chassis #4, has a rich racing past and is one of the more desirable Cheetahs in existence. 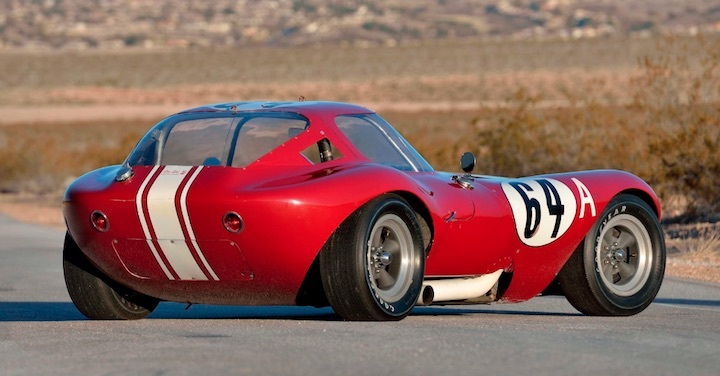 Known as the ‘Clusserath Cheetah’, the car was sold new to Bud Clusserath in January 1964 by Bill Thomas Motors and was subsequently raced by both Clusserath and its second owner, Ohio racer Sam Goins. Goins, who bought the car in 1970, held onto the car for 53 years and competed in many different Gymkhana-style events and other road racing competitions with it. It was sold into a private collection last year. According to Mecum, this exact Cheetah had its fiberglass body panels blown off at Daytona in 1964, when the air to become trapped within the bodywork and caused pressure to build up. This event also blew out the tops of the gullwing doors, forcing Clusserath to install some safety straps on the doors. Today, the car features a Corvette-sourced 327 cu. in. Rochester fuel-injected V8 engine paired with a Muncie M21 four-speed manual transmission and other period correct parts like a C2 Corvette rear differential, the drum brakes from a 1960s-era Chevrolet stock car and a Jones Motorola tachometer. The car also once featured a near 500 hp 377 cu. in. racing engine, but Clusserath pulled it out when he sold the car to Goins. Presented in completely original and unrestored condition, Mecum says this is one of more authentic Bill Thomas Cheetah examples in existence. It did not provide an estimate for what it may sell for.